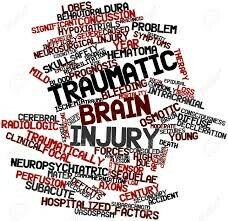 Traumatic Brain Injury is unpredictable and can affect a person’s emotional stability, their way of thinking, and their behavior. A brain injury can change a life in a matter of seconds while also affecting family members. No two brain injuries are the same and the effects can range from mild to complex to very severe. It is important to remember these effects will vary from person to person. Here is a helpful list of nationwide community services that will help all those affected by TBI. This website was designed through funding from the Colorado Kids Brain Injury Resource Network. It serves as a tool for educators, school administrators, school psychologists, related service professionals and families. It provides educators and other professionals with practical information that can be used to identify and provide appropriate services to children with brain injuries. It also provides parents with information on services that are available for their child as well as how to access support systems. 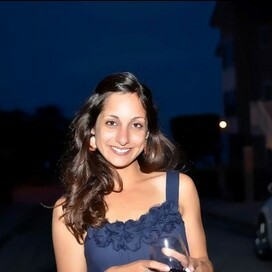 It lists upcoming events such as workshops, conferences and support group meetings. This website was designed and funded by the Brain Injury Association of Nebraska. It provides information on a variety of different types of brain injuries such as concussions, abusive head trauma and traumatic brain injuries. For each of these categories, important information is provided on definitions, signs and symptoms, case studies, places to go for evaluation and treatment and new state legislation and what it means for victims. It provides a wealth of resources for veterans and other survivors of brain injuries such as support groups, treatment centers and job training. Finally, it lists a calendar of events of upcoming conferences where professionals and victims alike can go and network with each other. The website is geared toward helping parents and teachers prepare students with TBIs to return to the classroom environment. The Center for Parent Information and Resources is behind the design of this website. It gives information about the nature of Traumatic Brain Injuries and how to help parents and teachers make a smooth transition for students returning to class after having TBIs. It gives hypothetical stories to illustrate what brain injuries are actually like, provides a formal definition, prevalence statistics, signs and symptoms, the types of services available, tips for both teachers and parents to reintegrate students back into the school routine and a list of resources for more information and supportive services for both parents and educators. The website provides links to support groups, has information resources, and important facts about Traumatic Brain Injuries (TBI). There is a calendar with upcoming events, an area about legislative proposals for TBI, and how to drive awareness. An important area of this resource to consider is the section regarding prevention. In this portion, it provides information about the South Carolina Student Athlete Concussion Law, and resources for school professionals. The Brain Injury Program through Greenville Hospital System, provides an inpatient and outpatient program for individuals that have suffered from a Traumatic Brain Injury (TBI). The experts that work in this program are trained nurses, neurolopsychologists, and therapists that work with patients and families to increase independence and self advocacy. This program is an isolated, self-contained facility that provides services to individuals with cognitive disabilities. The South Carolina Vocational Rehabilitation Department provides program managers to oversee client participation, coordinates family and team meetings, and serves as the link between the client and the local vocational rehabilitation services. This is a newer resource that began in 2004 to service TBI clients. This organization has developed their resources collaboratively with the Head and Spinal Cord Injury, Roger C. Peace in Greenville, SC, and the SC Brain Injury Alliance. This resource focuses especially on children. It is a guide for parents in ways to cope after a child has had a traumatic brain injury. It is very helpful as it has a step-by-step guide to help your child in each phase of the injury. This resource is especially for parents and answers questions ranging from the accident to what to do at home to better provide for them, as well as what to expect and do once they return to school. This is a great resource! This site offers links for people, especially focusing on children, that will assist with all types of neurological conditions/disorders, especially focusing on traumatic brain disorders and spinal cord injuries. It is a great place to start in an effort to obtain information on assistance with these types of injuries. This resource is from the Department of Health in the state of New York. There are many links in which parents, educators, and students are able to obtain information for people with traumatic brain injuries. The links include information on safety, eligibility programs, and family support, as well as offering links to other sites with helpful resources. This website is great for providing information on how to provide for an individual with traumatic brain injury. 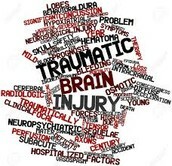 This website gives the reader information about brain injuries as well as living with a traumatic brain injury. The resources included are limitless including medicines, assistive technology, effects on employment, as well as health issues such as headaches caused directly by the traumatic brain injury. This website goes into specific details as to why a person will experience a headache as well as how long they may continue. It also addressed different types of headaches like migraines, cervicogenic or rebound headaches. Safe Kids Worldwide is a web of organizations designed to prevent unintentional childhood injury, “the leading cause of death and disability for children ages 1 to 14.” This organization works with more than 500 coalitions in the US and partners with 25 countries around the work in an effort to reduce accidental injuries in children that could potentially lead to more disabling injuries or death. Through research, education and awareness programs, Safe Kids works in the areas of home, cars and road, and sports and play. Their website contains fact sheets, infographs, newsletters, videos, and other great resources.